Trendy wedge sneakers and glam accessories approved by celebs. 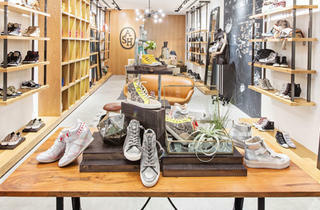 Shoe aficionados, take note. 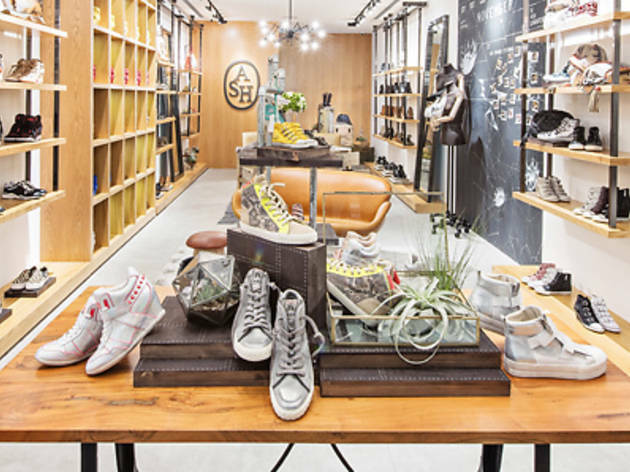 If you love your wedge-heel sneakers (a style that’s still totally in trend now), you’ll rejoice to hear that European cult shoe brand ASH has set up their flagship store right in the middle of Orchard Road. Founded in 2000, the label is known for their funky wedge sneakers (beloved by Hollywood celebs and K-pop stars) – the shop here displays a neat selection of neon-tinged, glitter and studded ones, as well as booties, flats, sandals and leather bags, jackets and accessories (plus footwear for men and children). Our favourites include the shimmering Vertigo high top sneakers ($220), the fringed Myla bag ($295) and the Ros booties ($420) to add a splash of edgy glamour to your look. The small space works well with the earthy vibe of the décor, made out of black metal, oak wood and leather, and furnished with vintage suitcases, retro chandeliers and antique rugs.